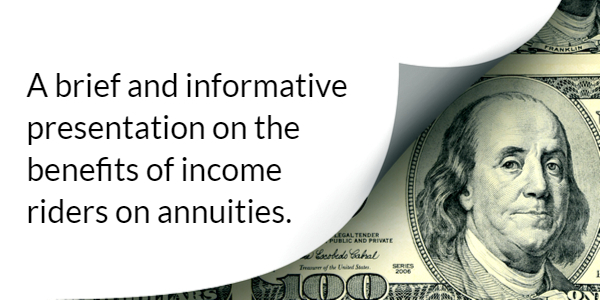 Income riders on annuities have grown in popularity because of the guarantees they provide in ensuring one does not outlive their assets. Let’s work together to increase your annuity production in 2019 – please join CPS and AIG for a deep look into a new, limited distribution income rider. Whether you currently offer income riders to your client base or not, you do not want to miss this opportunity to learn more about how AIG’s new income rider can outpace the competition and help clients get guaranteed income for life with the flexibility they crave.